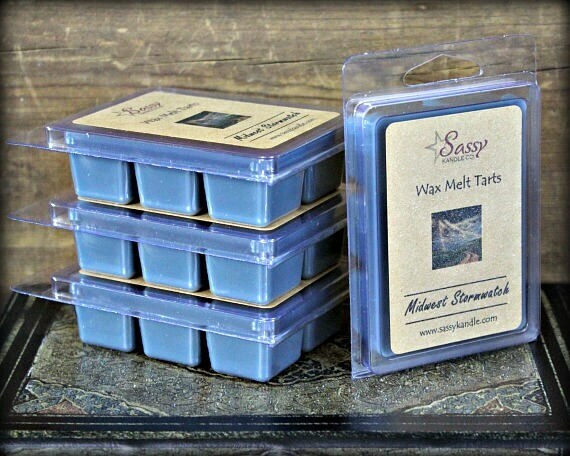 MIDWEST STORMWATCH | Wax Melt Tart | Phthalate Free | Sassy Kandle Co.
Fragrance: MIDWEST STORMWATCH - A clean scent with floral and mild spice notes. A hard one to describe, but a very popular fragrance. Smells great! Fast shipping! Thank you! It starts off as a very mild scent, but after a couple hours, it starts to come off as a gentleman's heavy cologne. Great smell, fast shipment, thank you! Love this! Great seller. Will buy more. Thank you!